Titleist Pro V1 RecycledGolf Balls in excellent condition, recycled to the highest standards possible. Exceptional playability. 3 dozen included in clam shell case. 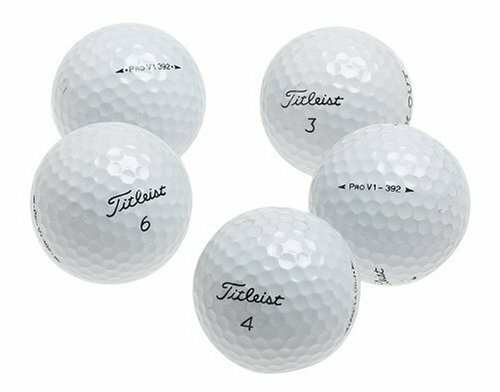 The Titleist Pro V1x 2010 golf balls are one of the best golf balls from Titleist golf. These balls have the Alignment Integrated Marketing feature, along with a softer Urethane Elastomer cover to deliver great feel and performace. Serious golfers at all levels will appreciate the long distance that this ball can deliver. The Titleist Pro V1 golf ball offers tour-validated technology and performance. The Titleist Pro V1 features an improved higher-coverage 392 dimple design, exlcusive A.I.M (Alignment Integrated Marking) side stamp, and Drop and Stop technology. 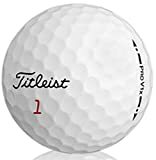 The large solid cor, multi-component construction, and high performance urethane elastomer cover technology are three of the industry leading technologies Titleist has woven into this golf ball. 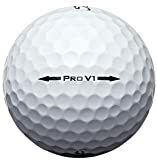 The Titleist Pro V1 2012 golf features the Tour-vlaidated technology and performane with a spherically tiled 352 dimple design and new and improved A.I.M (Alignment Integrated Marking) side stamp. 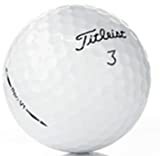 This golf ball has a 3 piece construction, which consists of new innovative ZG process core technolgy, a responsive ionomeric casing layer, and a Urethrane Elastomer cover with spherically tiled 352 tetrahedral design.